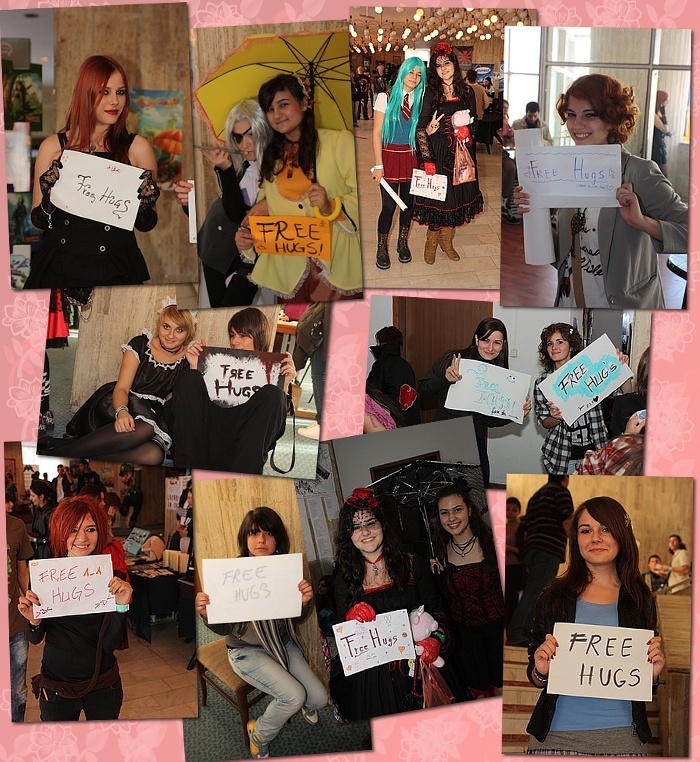 It looks like a favorite sport of many participants at this year’s Nijikon was giving hugs for free, this made me remember about the hugs I wanted to offer and were denied… because they here not gratuitous. Do you have a coin? Am I a photographer or just play one on the TV? Why the turtle did cross the road? Exhibition opening for "We are the city"
Men, run for your lives! Last but not the least? Kill the pig! We are not a colony! Groping for the National Day. Everything is better at the golden hour? For whom the bell tolls? Geishas on stilts - only in Bucharest! Never mess with the Romanian army! Painted eggs / me bad atheist? New glass, so what? Too little, too late. Miss the blue. A country with beautiful women? Swans. In black and white. Copyright © 2019, nicu's photoblog. Proudly powered by WordPress. Blackoot design by Iceable Themes.